SEO stands for search engine optimization, you can easily find many post or pages about the SEO, but they, however, lack some information. But today I will try to explain the SEO guide for beginners and will try to explain all the necessary things needed to know for a newcomer to do SEO perfectly. Google is a search engine and when you work with Google Analytics, Google Keyword Planner, Google AdWords, and Google Webmaster tools or anything related to it or any other search engine to optimize your site then that term can stand for SEO (Search engine optimization). Moreover, it can be about links, Keywords, Reputation, quality, and trust. 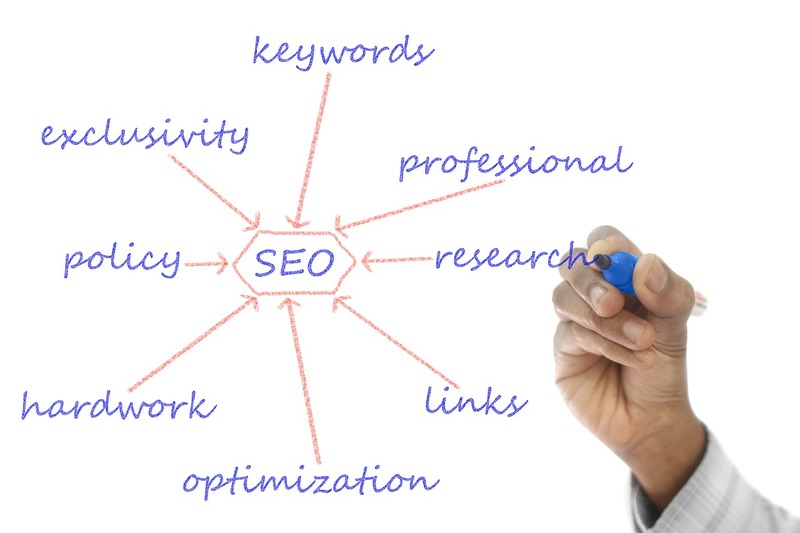 The first thing to do for SEO is keyword research. You can use Google keyword planner for the keyword research, but there are some other tools like Word Tracker and Keyword Discovery available on the internet that can also be used for doing keyword research or brainstorming. But I always prefer Google Keyword Planner. You can get the estimated keyword search for the words and also some keyword suggestions for the same. Keywords are really an important thing in SEO. So one must choose the keywords wisely, choose those keywords which have more traffic and less competition because keywords with low competition always give quick and better results. More importantly, choose those keywords which represent your website, do not choose those keywords which do not belong to your niche, which will be of no use to your site. Although I would Personally recommend you to use long-tailed keywords with low competition and more traffic. I know its hard to find long tail keyword but check the post of mine which will help you to find the Long Tail keyword for your website or blog. Why use Long Tail Keywords for Your Blog? Choosing a Perfect Niche for your Blog. Use simple HTML and CSS for building your Website. Use of the flash, HTML frames, and Ajax will not be a good idea. You can also use those CMS, which creates static HTML on the Server. I always use WordPress for the new websites and better SEO. But there are other Cms too with which you can do SEO pretty well like Magento, Shopify, Pligg, and Joomla, etc. It will be even better if you are using an MVC. Title tag Is the first tag that appears on the Page or the post of the site and is responsible for Getting the best results for different queries. Meta Tags There are many types of meta tags, like meta name, meta type, meta description, Dublin core, Twitter card, open graph meta tags and meta type, etc. H1 tag Is mostly used in the heading of the Post or Pages. H2 Tag Can be Used in the sub-heading. H3, H4, H5, H6 Can also be used for sub-headings. Bold tag Used to highlight the sentences, and words and anchor text. Italic tag Can also be used for almost the same thing for which the Bold Tag is used. Alt image tag Alt image tag is used for images; you can use the keyword for alt tag. Anchor Tag Is the tag that is most important for linking, can be used for internal and external linking both. Keyword density is the must have the thing on the post or page while doing SEO. Use of the appropriate keyword density will lead your site to the better ranking. The keyword density must be from 3-5% out of 100%. You can check a full post about keyword density for more information. And even the keyword in the Url can be a good help. I always build internal links because it helps me to get a better domain authority. Linking of categories and menu also helps in making internal links, but it is better to make internal links while writing a post or page. Because Google gives more preference to those links which are related or mentioned in the pages of the website. And also the internal links are considered as the helpful information related to the same topic. Why is external link building still important? There are still many things which depend on the links pointing to your website. The number of high-quality links pointing to your site will make a good page rank for your Website and will also help in improving the Alexa rank and domain authority. Moreover, building linking makes your site more reputable and well-connected with the internet which means there are many chances of your website to appear on the higher rank on the Google than those sites which are not well connected to the web or have some low-quality links. Techniques like social bookmarking, SMO, blog commenting, Skyscraper Technique and Guest posting help to build good quality links. SEO Techniques that have worked for me. Link Building techniques that I use. The word is canonicalization, if your site has canonicalization problem then you must solve this by using only one domain link for your website. Taking an example: here is a link “http://www.meee.com/” with www but it can also be used like this “http://meee.com/.” The only thing you need to conform to the Google is that what domain link you are using for your site, is it with www or non-www. If you use both of the links that are “non-www and www,” then many of your links may get diluted and affect your page rank. In WordPress, you can simply do that just by doing the setting in the general setting options. Or you can redirect the link to the server by using a .htaccess file to edit. Here is the code that can be placed on .thaccess file to redirect the link. This way all your links will point to one link instead of two. However, the best canonicalization link to use is WWW instead of the NON-WWW link. I recommend you to read a full post on Canonicalization. Is there really, any need for XML sitemap? The answer is a little complex, sometimes Google automatically indexes sites, and no sitemap is needed, but when it comes to the bigger sites, it is recommended to submit a sitemap. You can easily submit a sitemap using Google Webmaster tools. Google sends an email for getting your sitemap if not submitted at the time of verification with Google webmaster tools. All the pages of the site must be interconnected. If you have linked your pages with Anchor text. One must check broken links constantly because Google penalizes those sites which have broken links. Another thing, if your site has broken links, then a 404 error page also must be there instead of the boring white page. However, if 404 error appears on your site for a continuing period, then your site can get hurt badly. As the internal linking make the internal architecture of your site so keep internal links active. If you are a beginner in the field of SEO and internet marketing, then follow the guidelines of Google, be straightforward and realistic. Be relevant and reputable and aim for a good, satisfying experience for the user. Make some quick decisions and then stick to it. And do not follow the spammers. Make Google your best friend and obey its rules or guidelines. Do not do or follow those techniques which are against the guidelines of the Google. Because doing that could penalize your site. It may not harm your site at that time but could hurt it in the future. So be careful while making this kind of decisions. Never expect that results for your site will appear instantly, results take time so always have patience. SEO may take a little time, know the estimated time that SEO may take to start working. Never pay for getting more links, create natural links. The paid link building software will only harm your site. As Google always says that content is the king, so focus on uniqueness and quality of the content. Stay updated with the Google algorithms. Google’s ranking system depends on the number of quality links pointing to your site. So build links but with those sites that have good Alexa rank and good domain authority. Make links to the sites that have Dofollow attributes. Because Nofollow does nothing for ranking of your site. Build links with those sites which belong to your blog niche because building links with different niche will only lead to downranking of your site. Submit your site to other search engine’s if possible. Use XML sitemap for better indexing of your sites. The XML sites help search engines to access your complete site. Make the speed of your site and pages faster. Because people do not wait for sites to keep on loading, they simply move to the other sites. Even though Google ranks down sites with slower page speed. Create more links to get a good domain authority because sometimes Google shows results for sites which are more popular. I don’t know if I had missed any techniques or not, so if anything that I have forgotten, please tell me in the comments below. How to Check Duplicate content using Copyscape? Robin, seriously, I’m gonna say just one damn thing! Thanks for the Praise Rajesh.